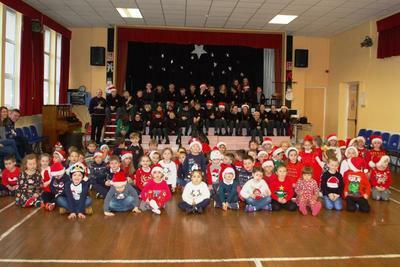 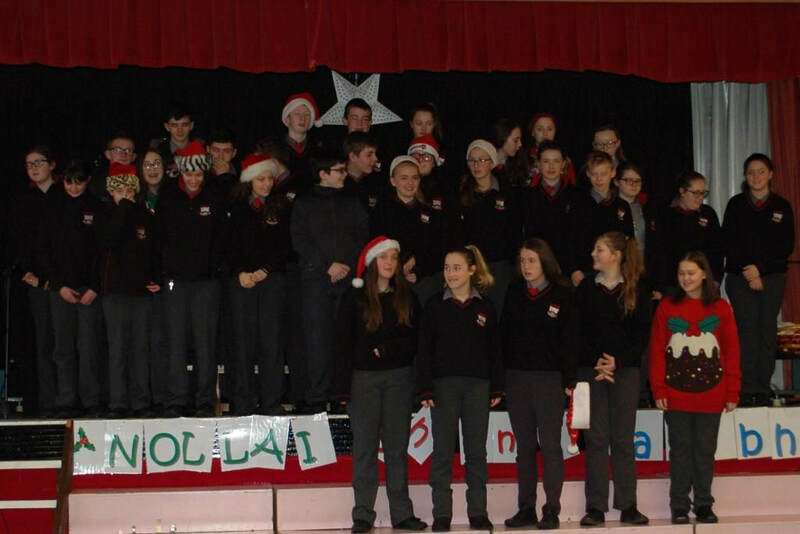 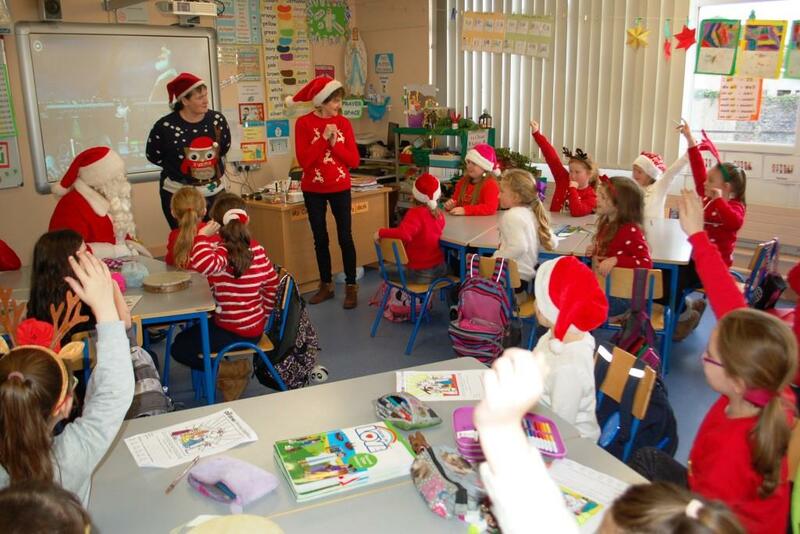 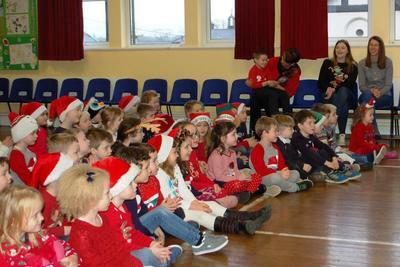 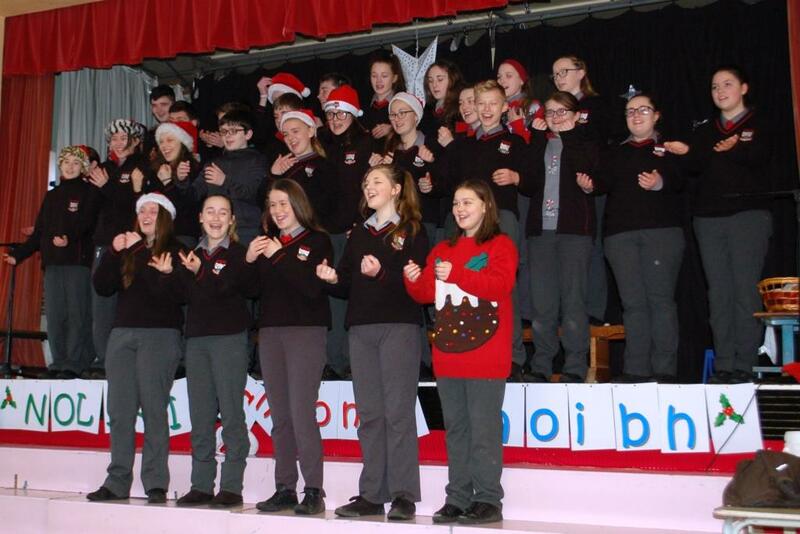 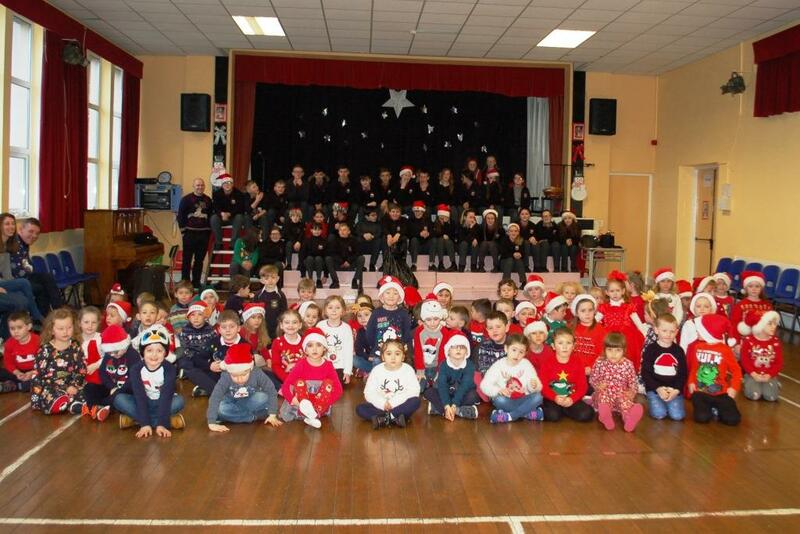 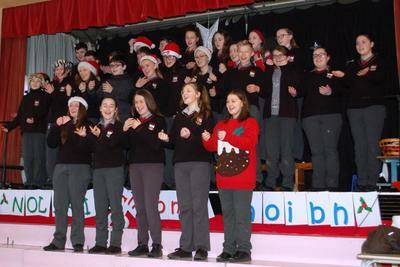 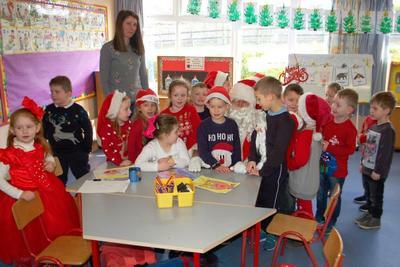 On Thursday morning, first year pupils from Coláiste Fionnchua came to visit the infant classes. 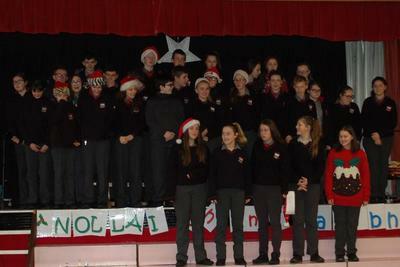 They entertained us with their carol singing and we sang for them too. Then the boys and girls gave us some sweets and a gift of a tub of Playdoh. 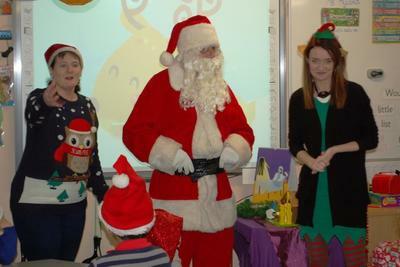 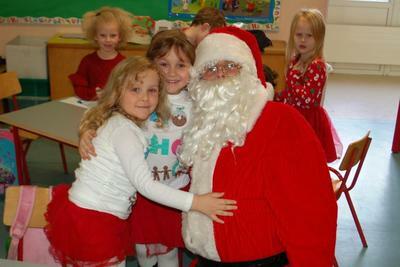 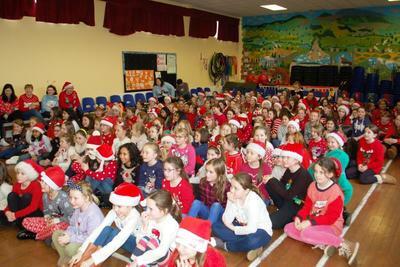 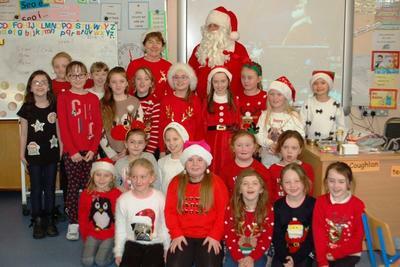 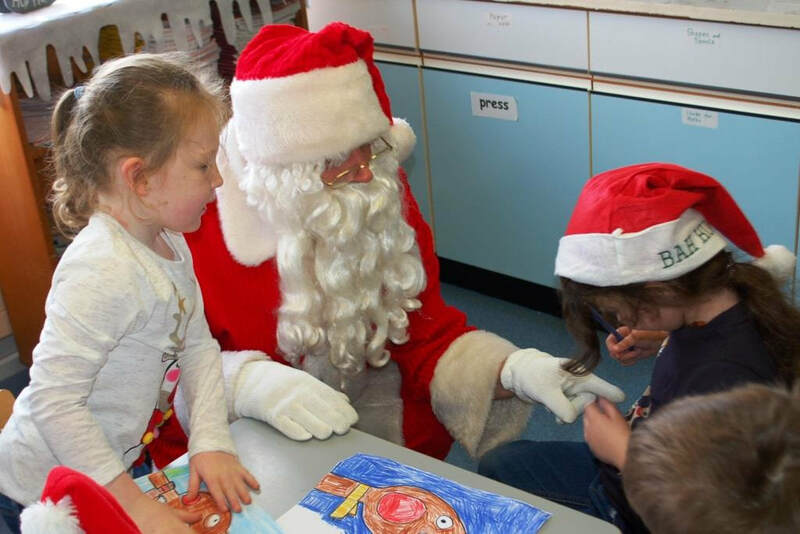 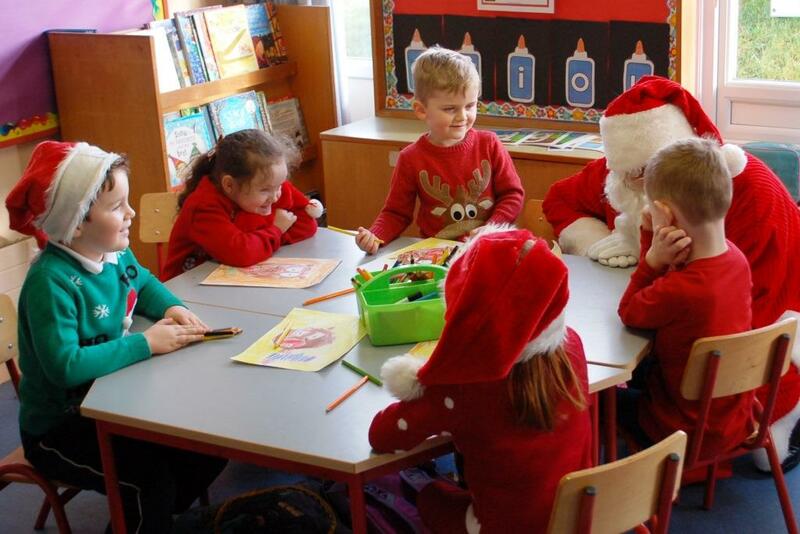 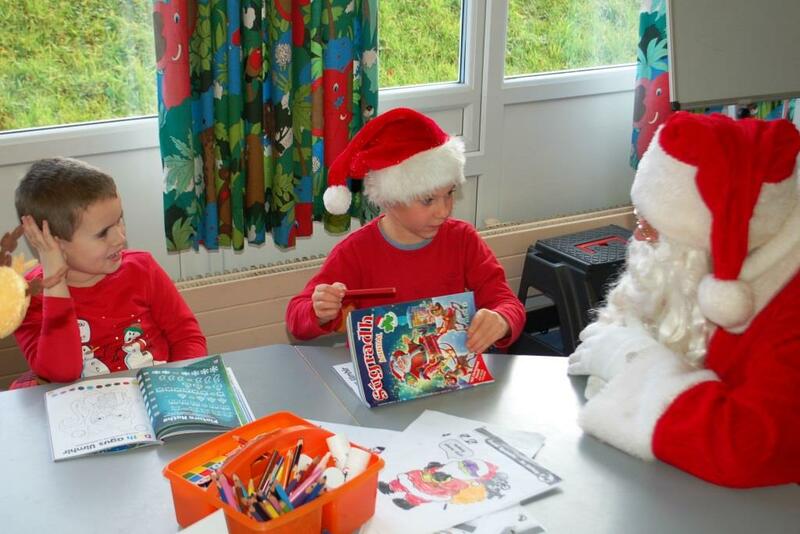 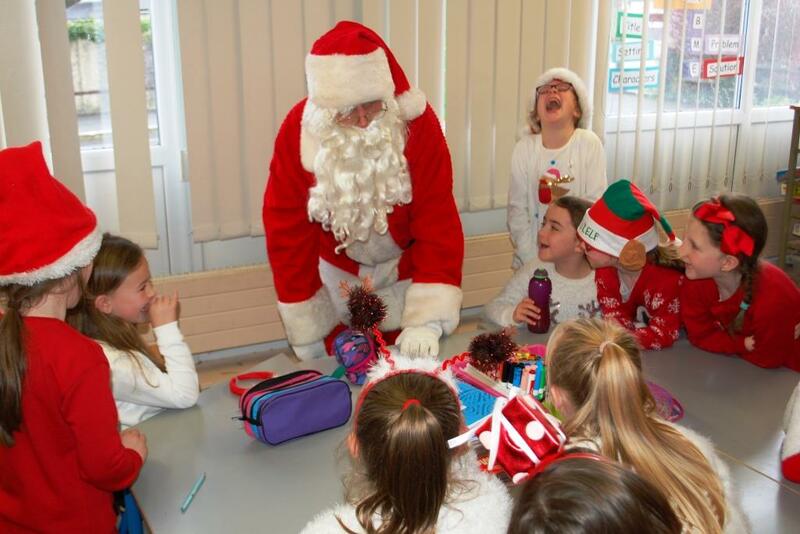 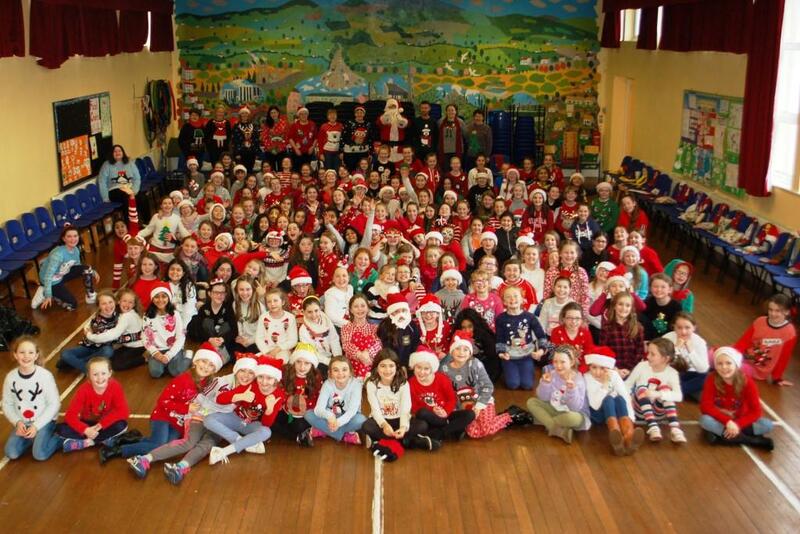 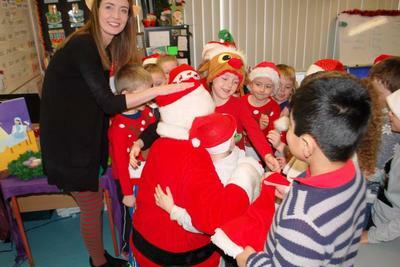 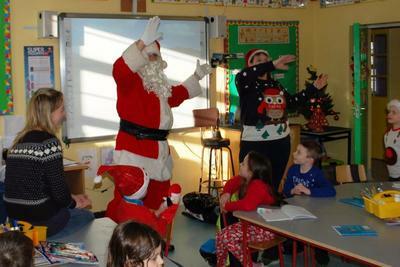 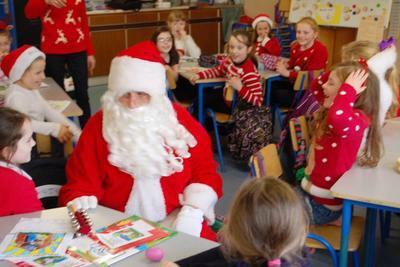 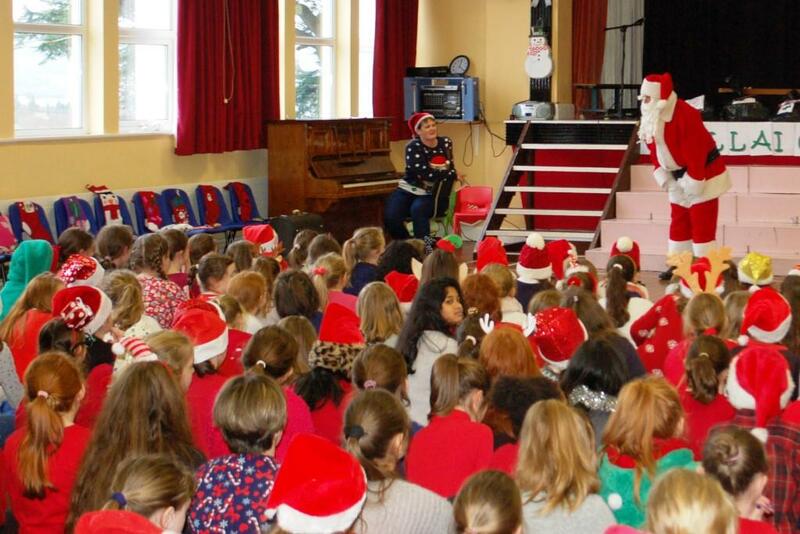 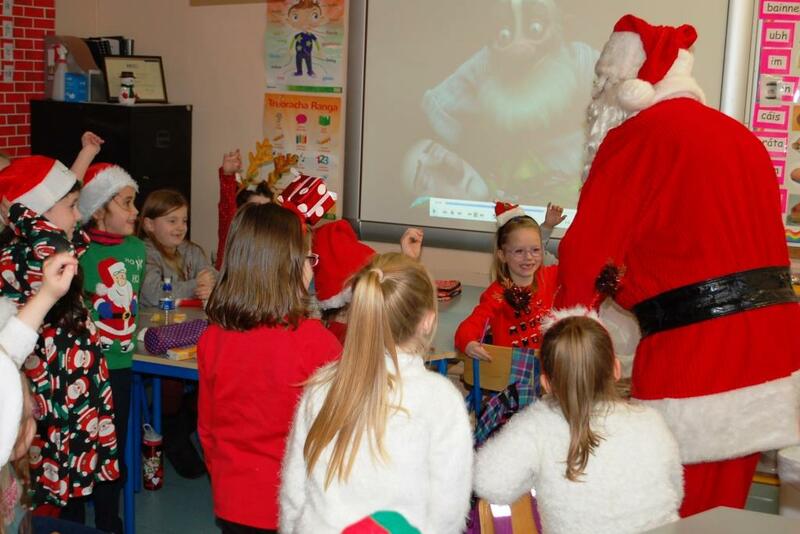 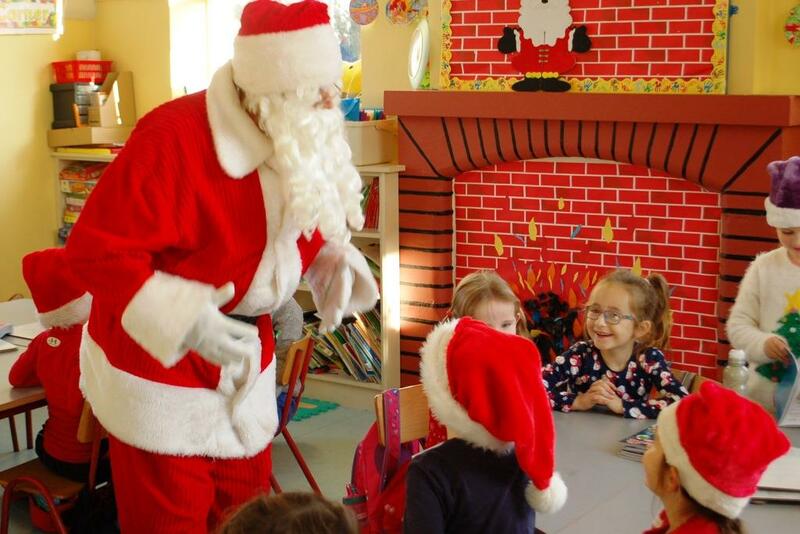 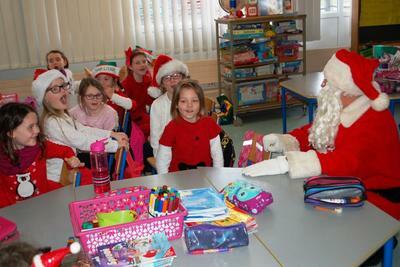 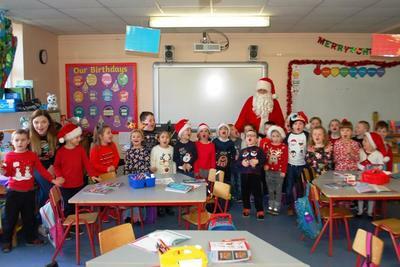 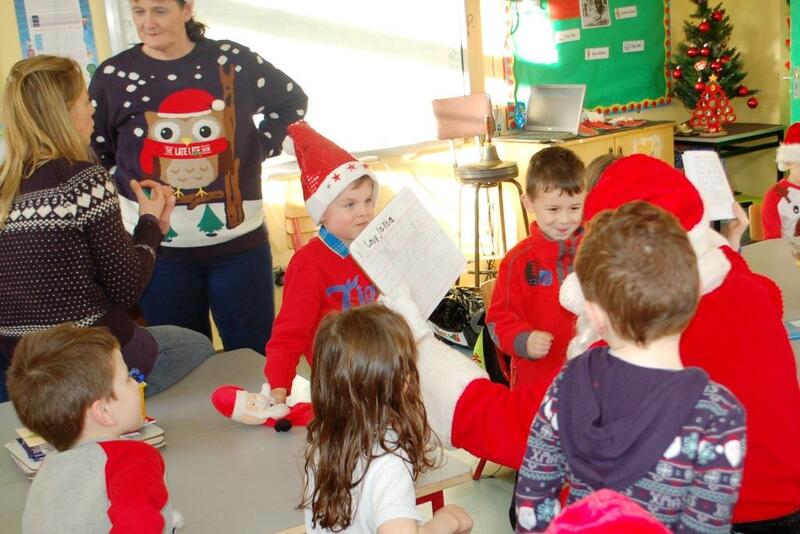 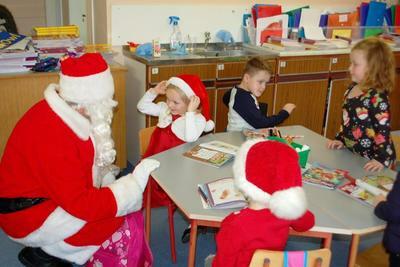 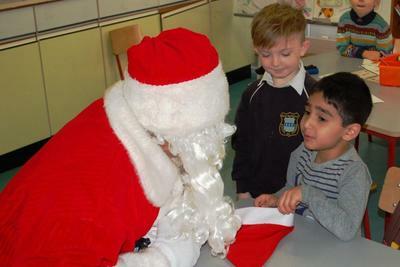 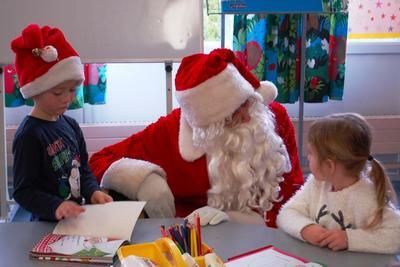 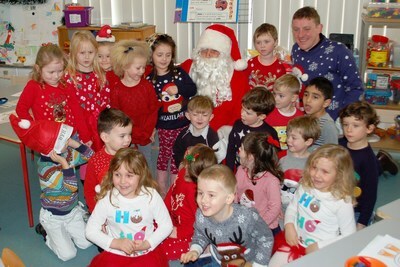 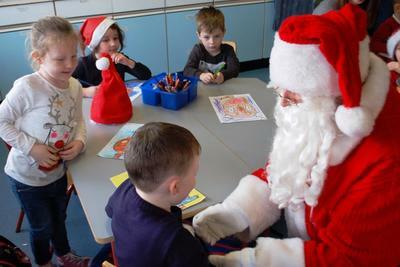 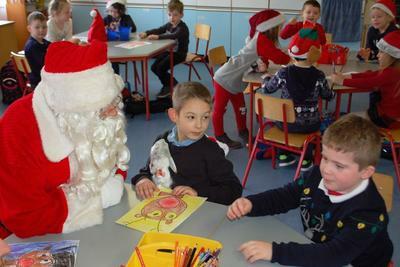 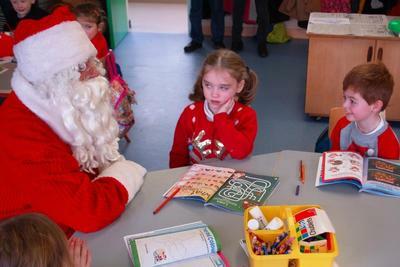 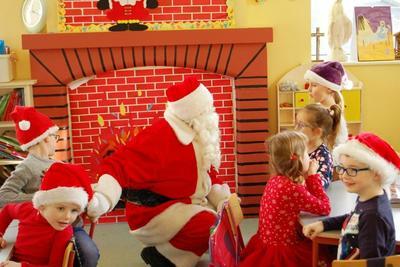 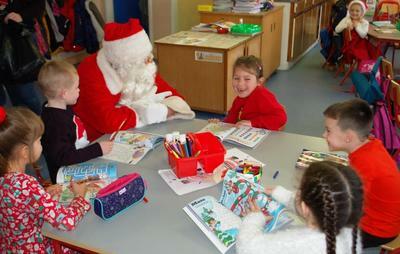 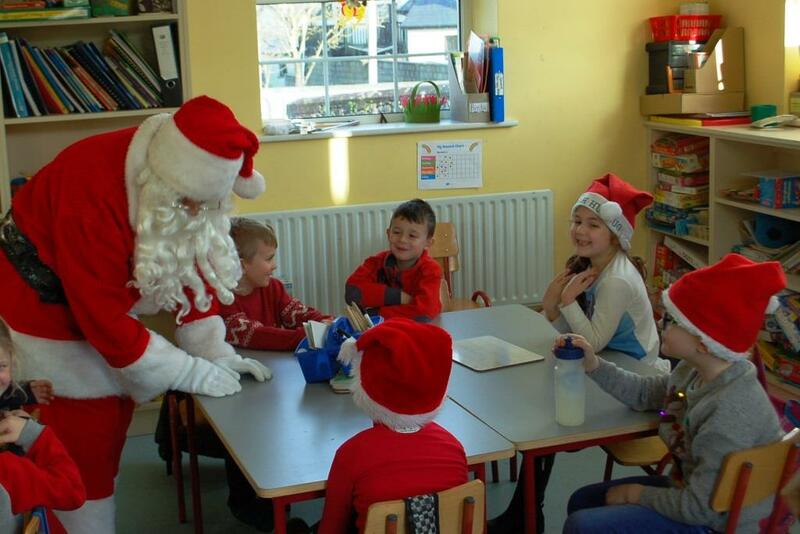 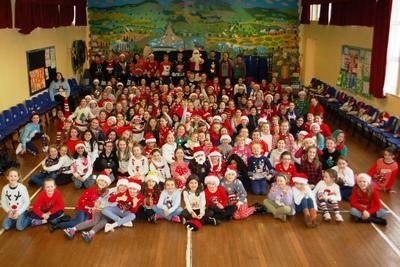 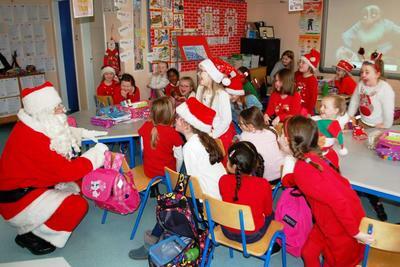 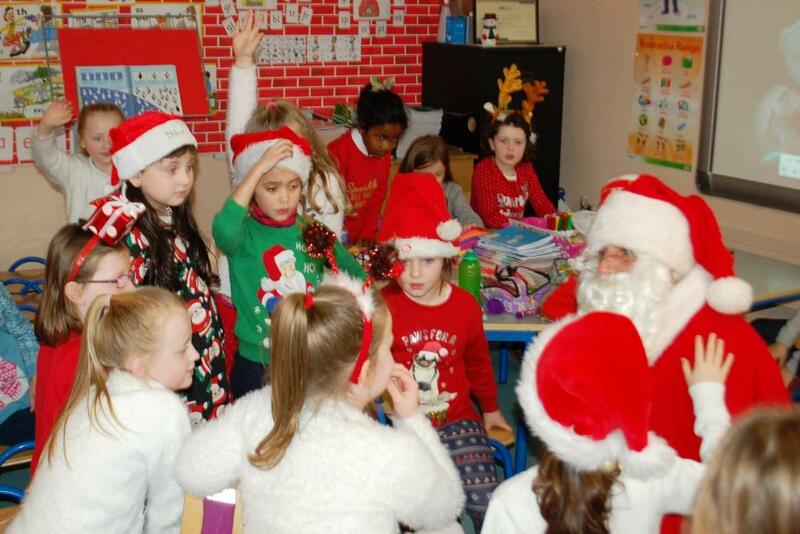 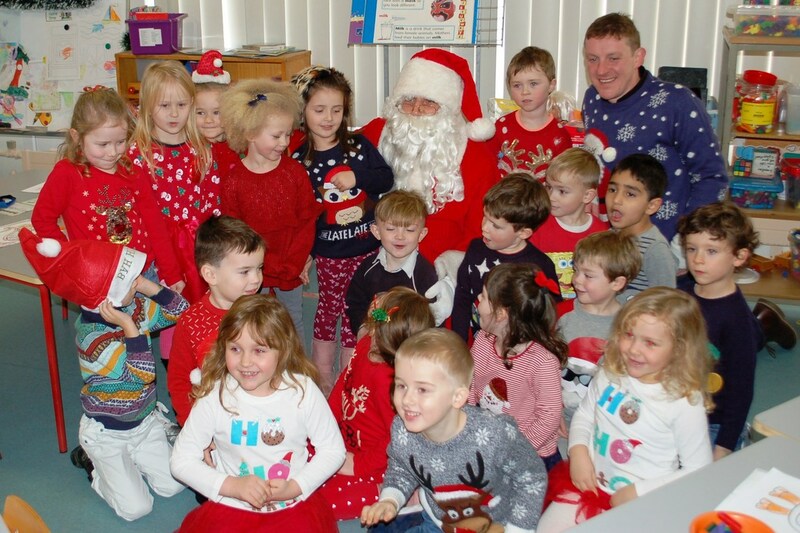 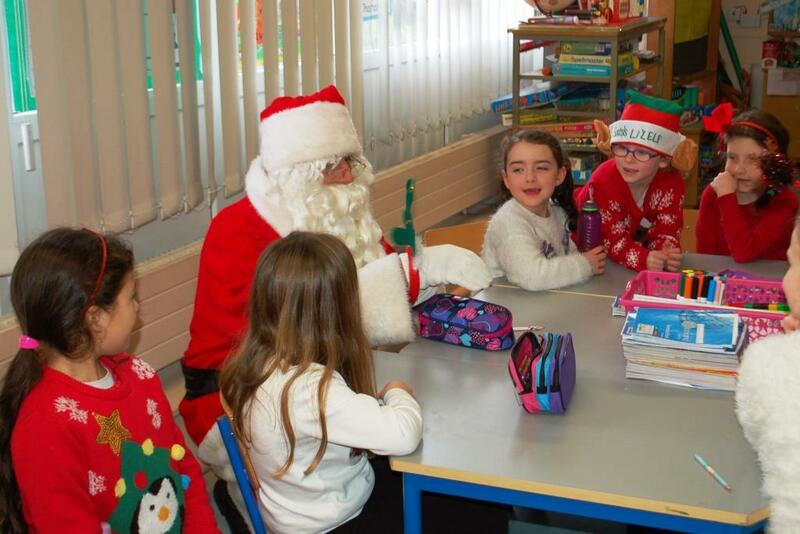 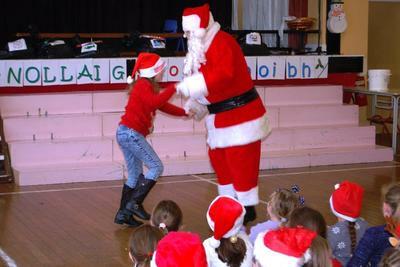 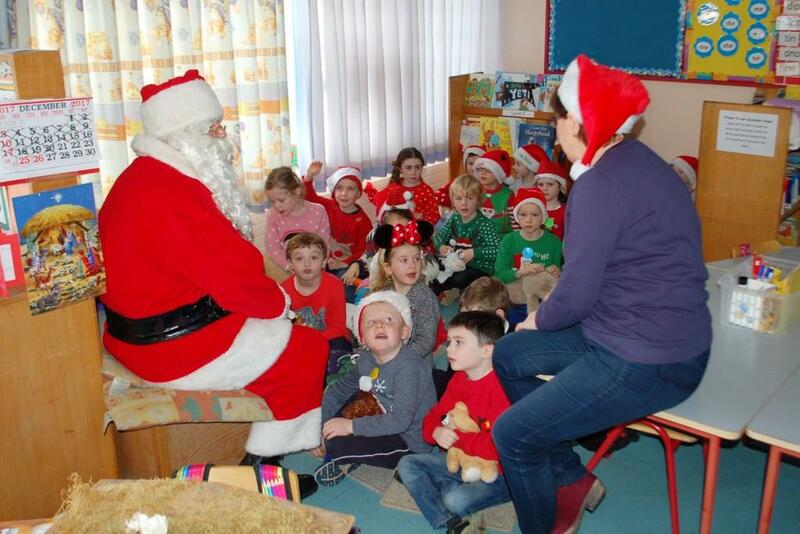 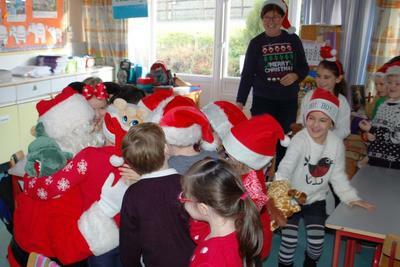 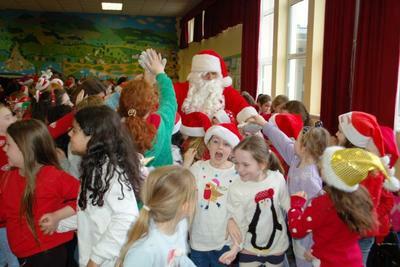 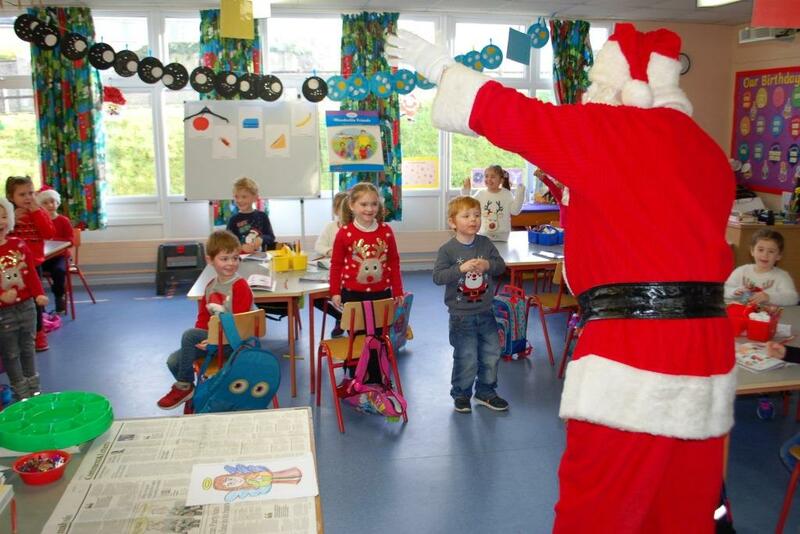 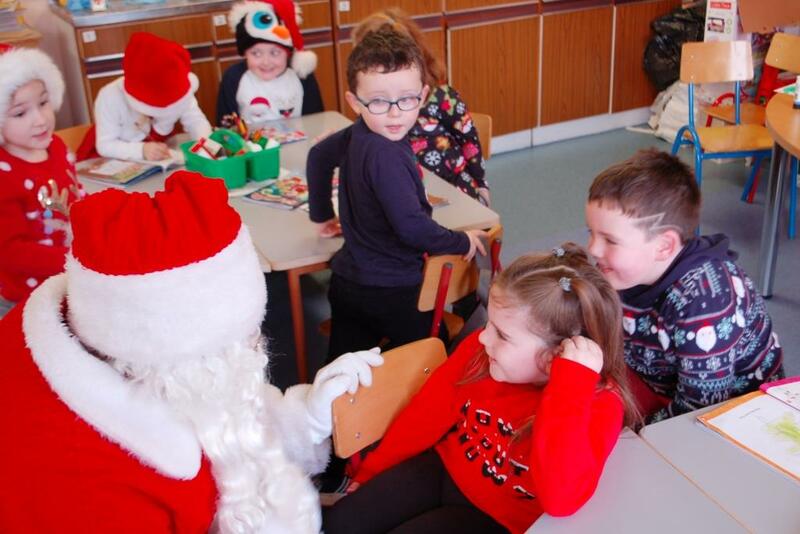 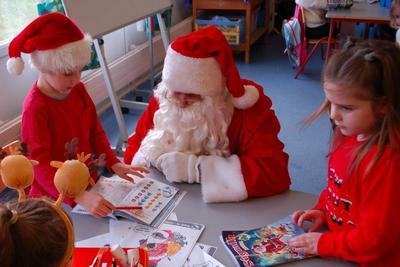 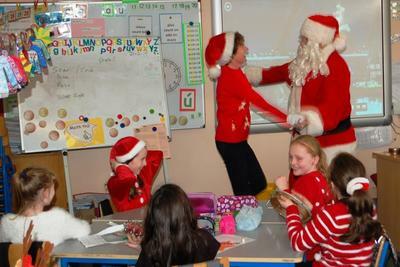 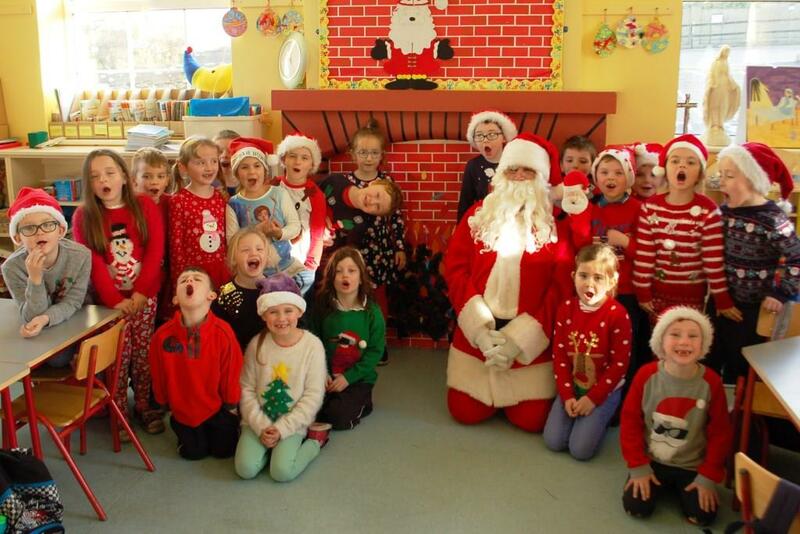 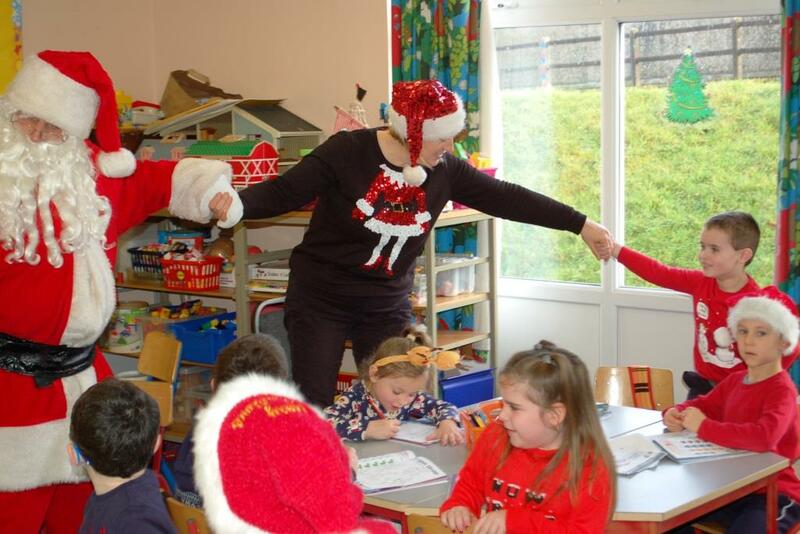 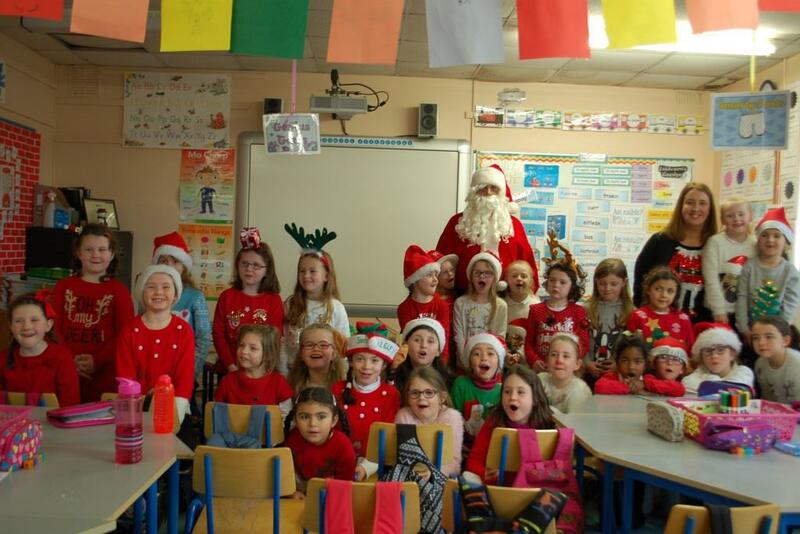 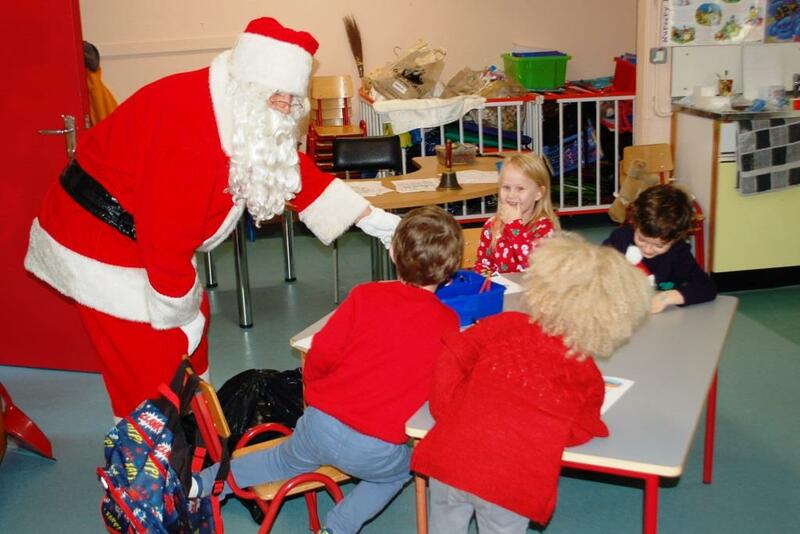 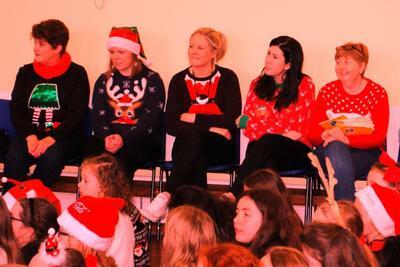 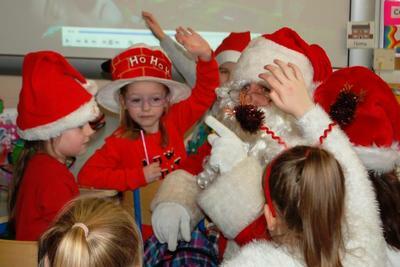 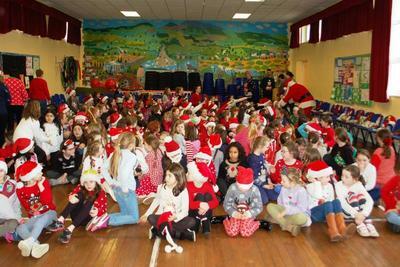 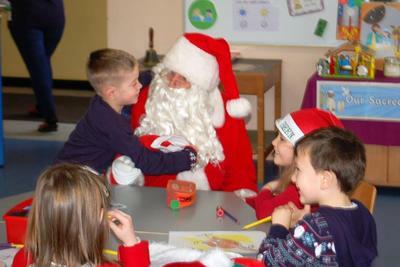 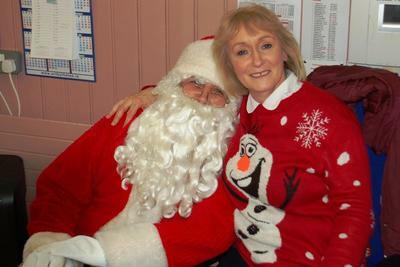 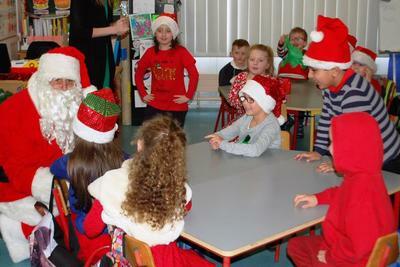 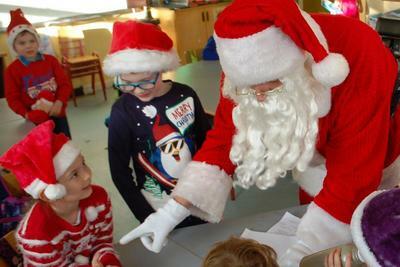 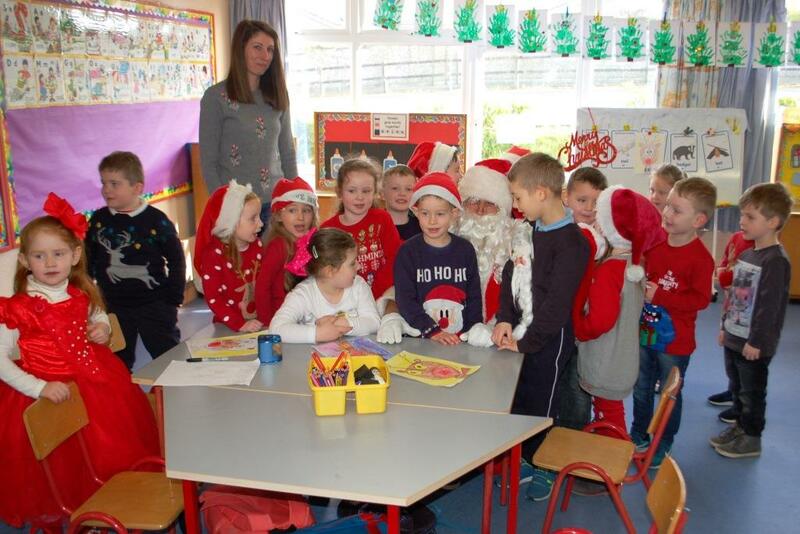 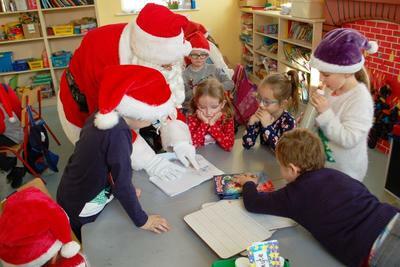 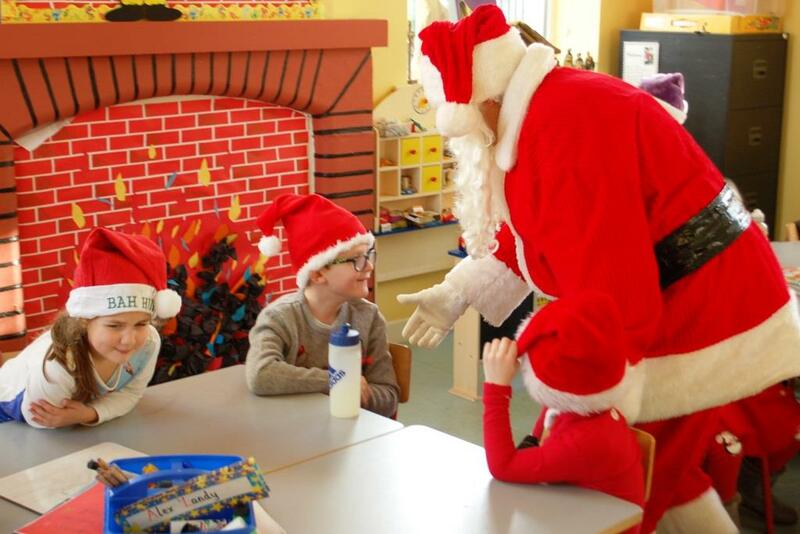 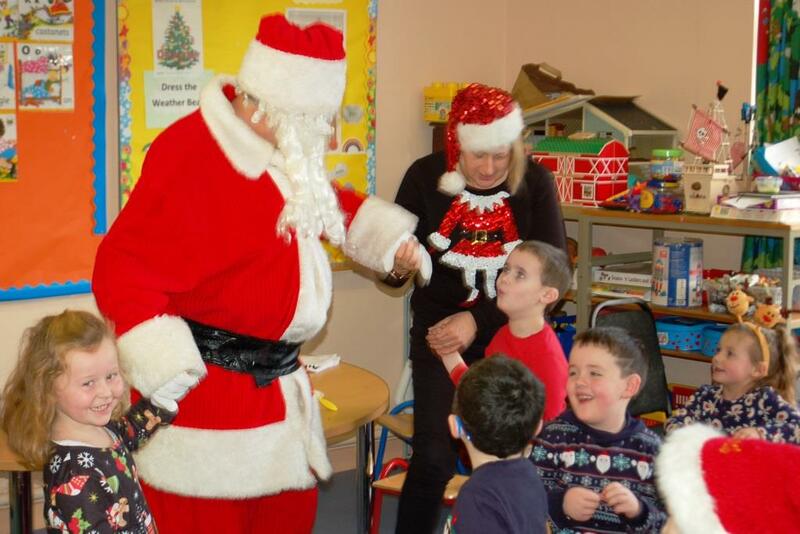 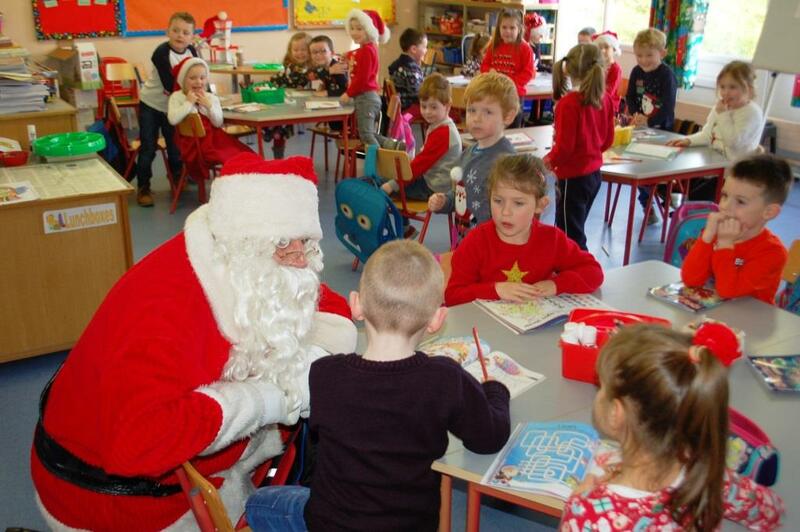 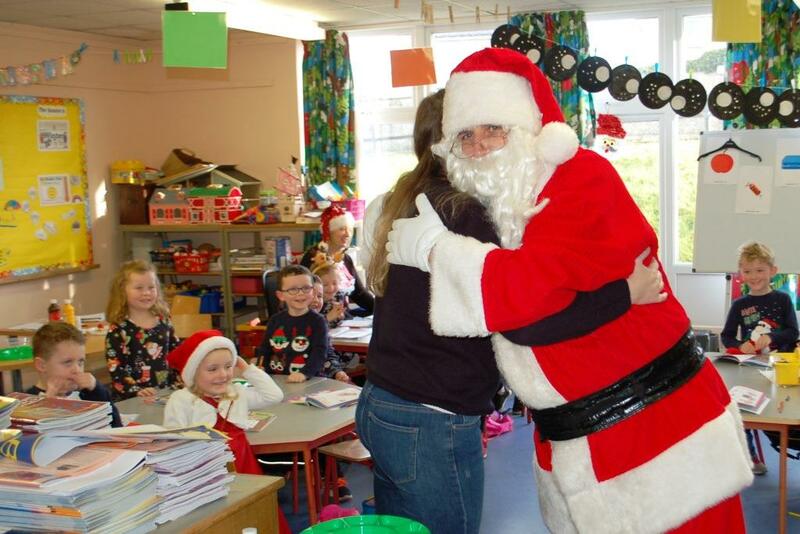 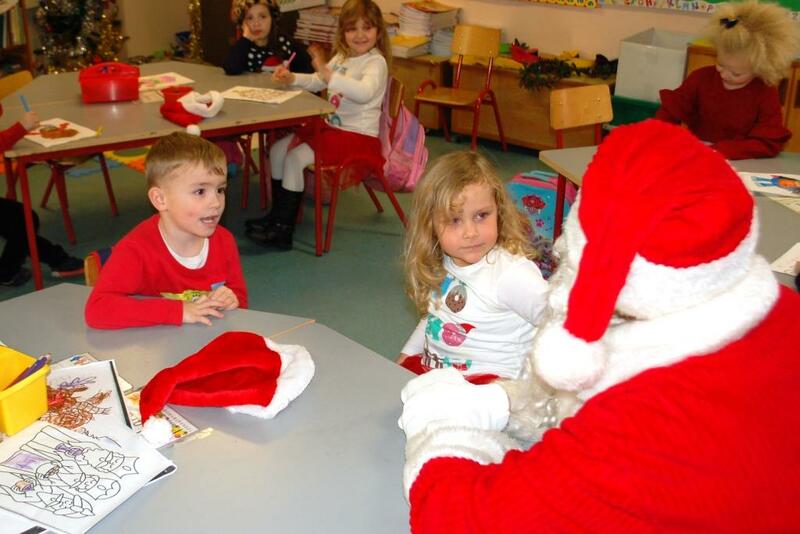 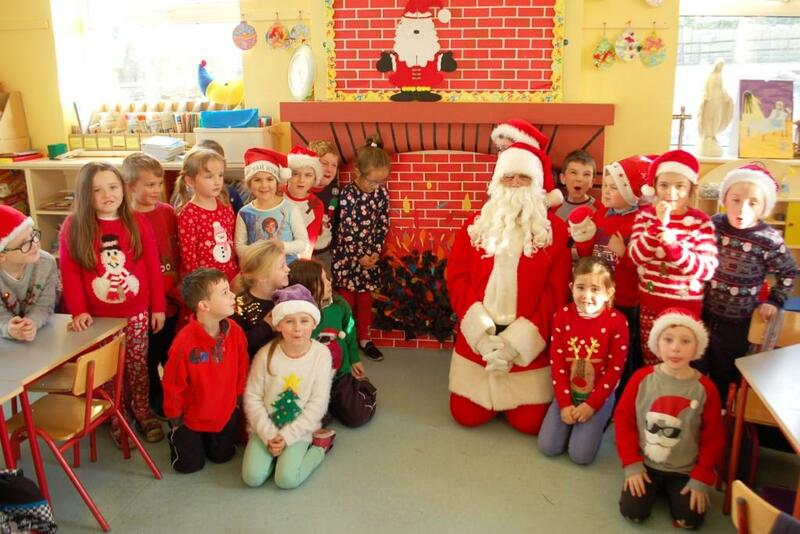 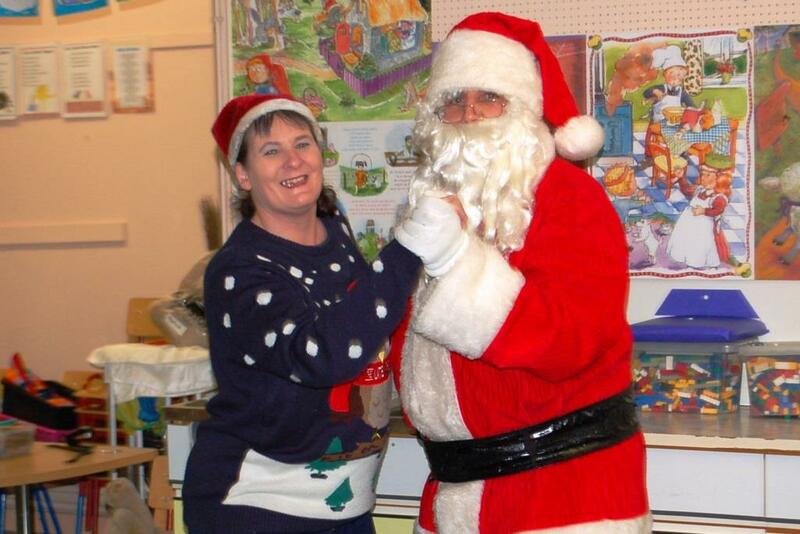 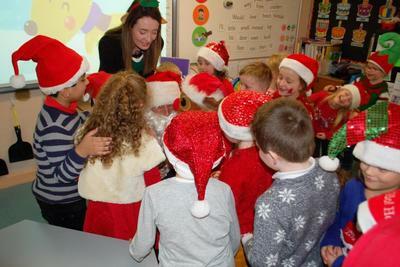 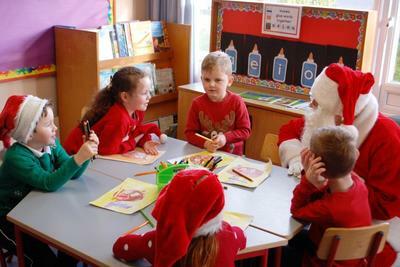 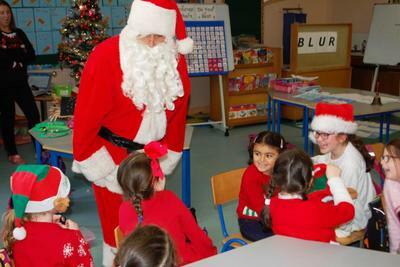 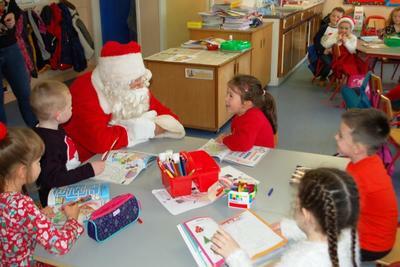 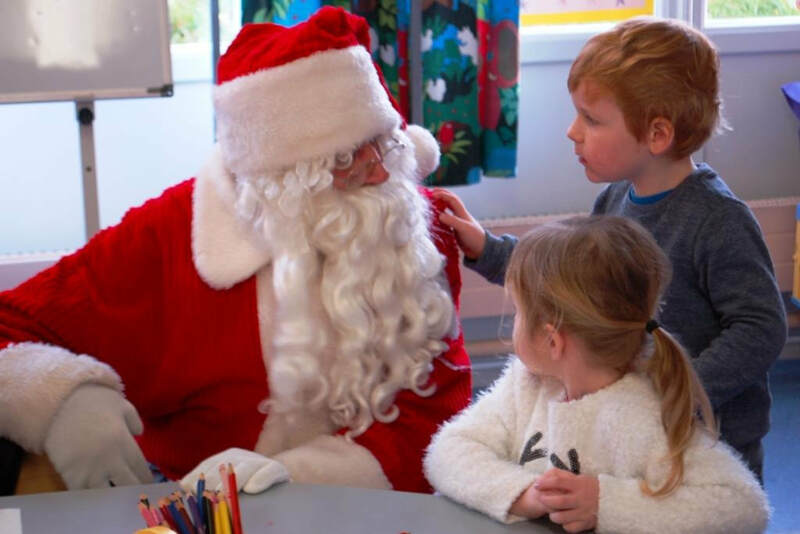 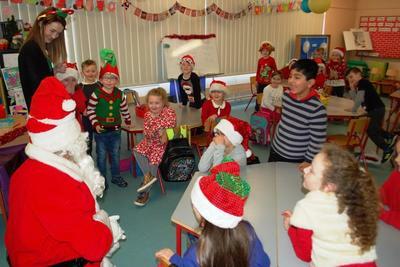 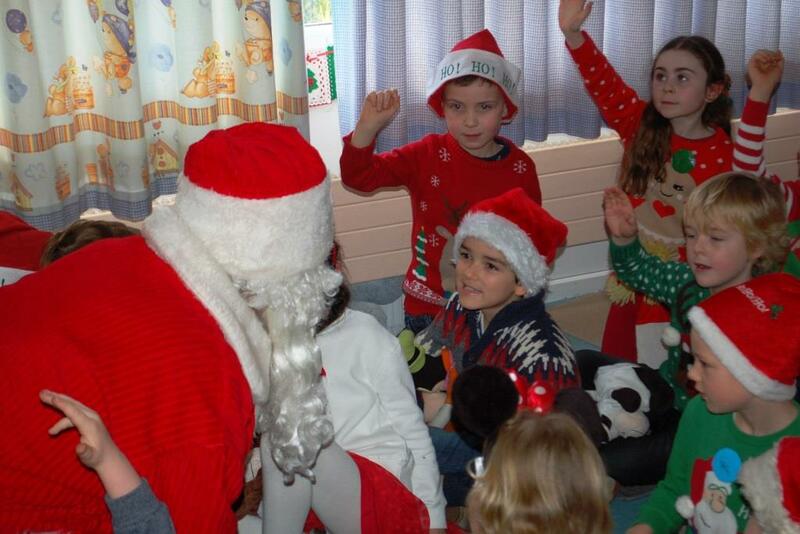 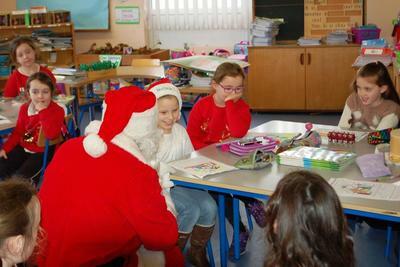 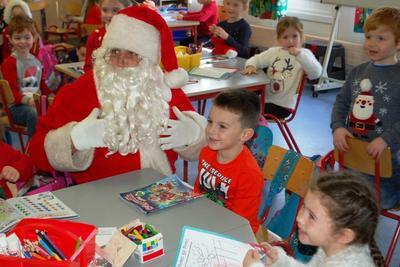 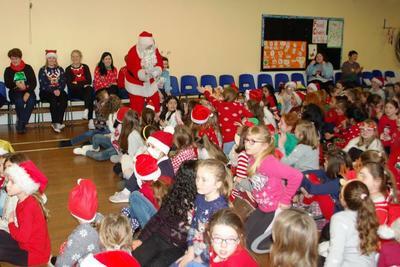 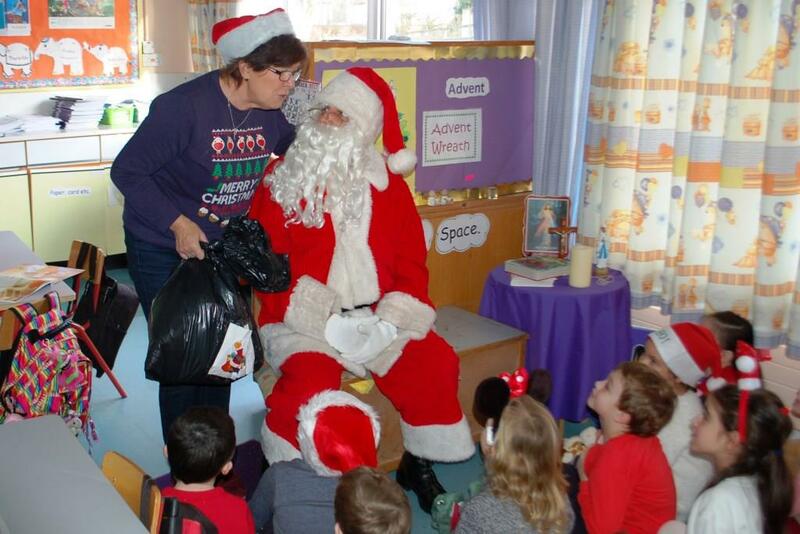 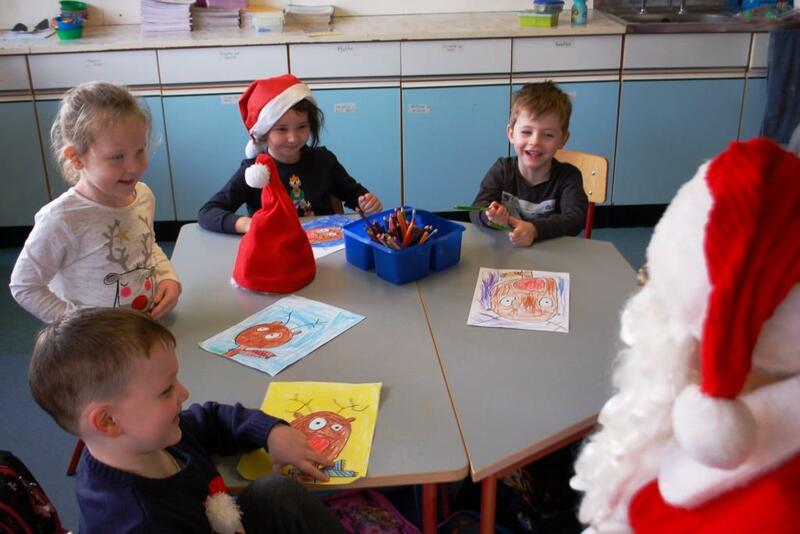 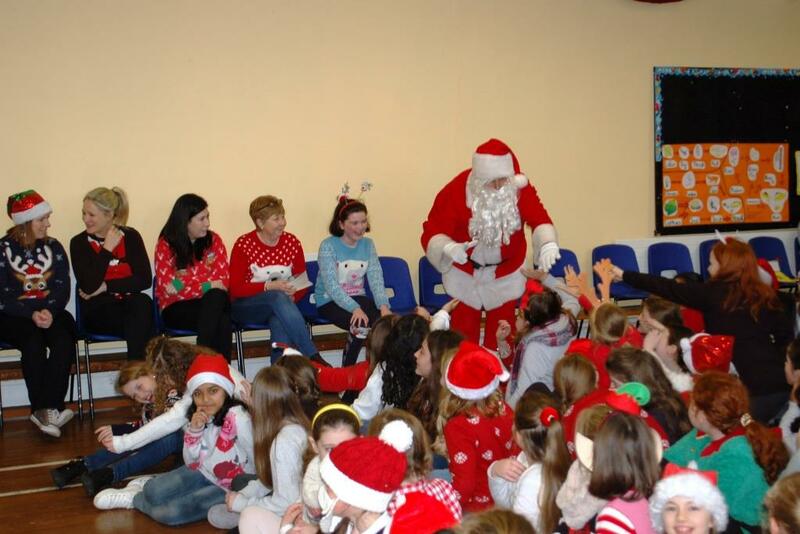 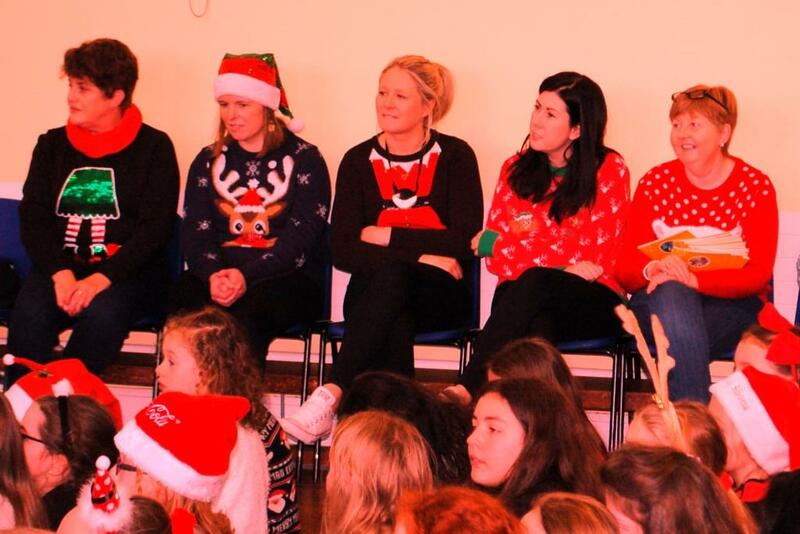 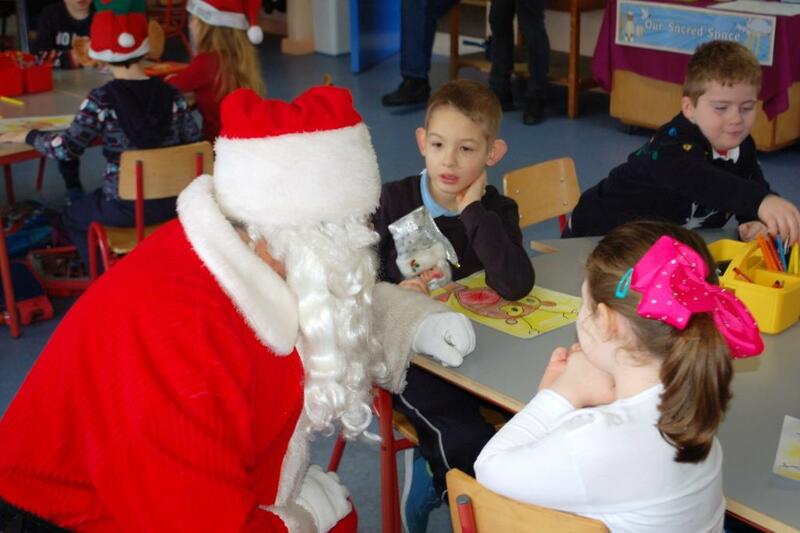 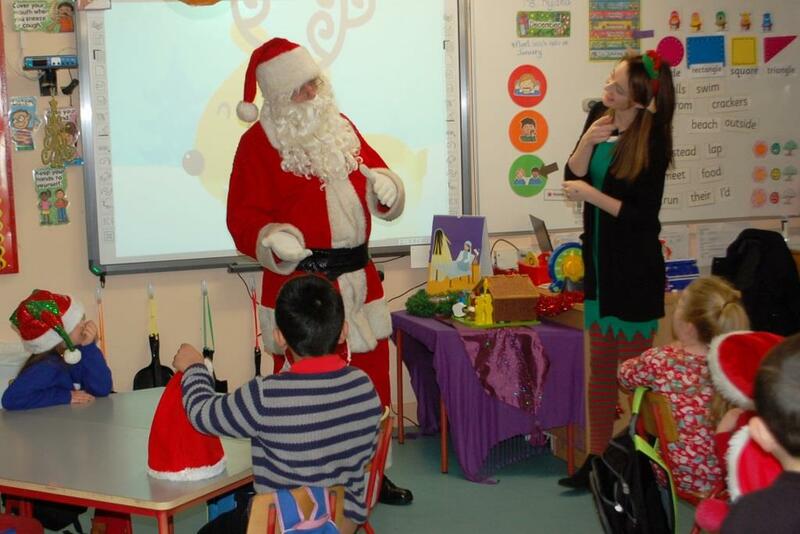 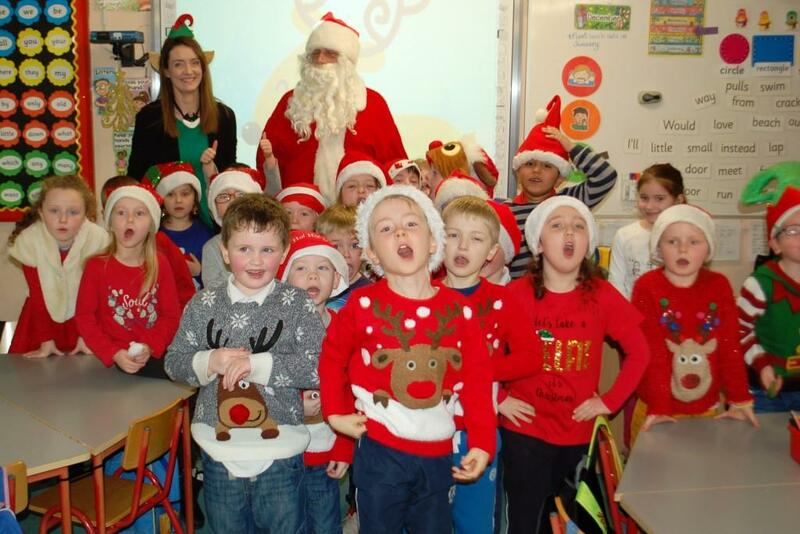 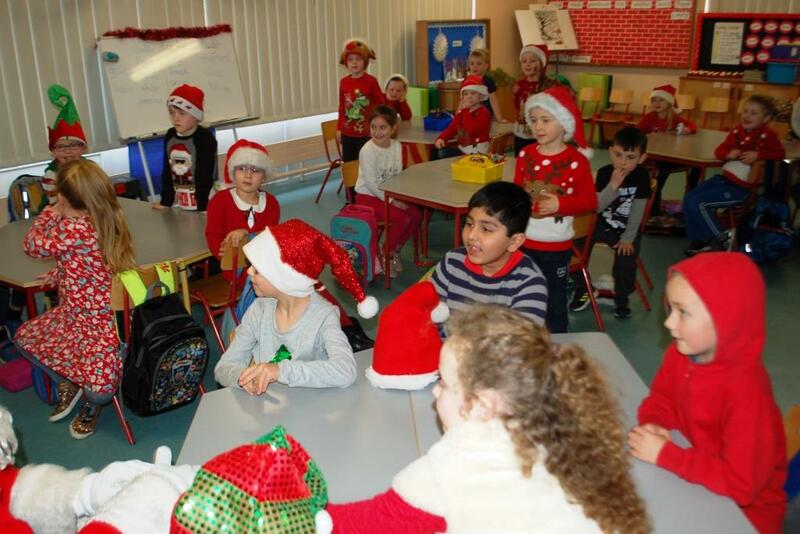 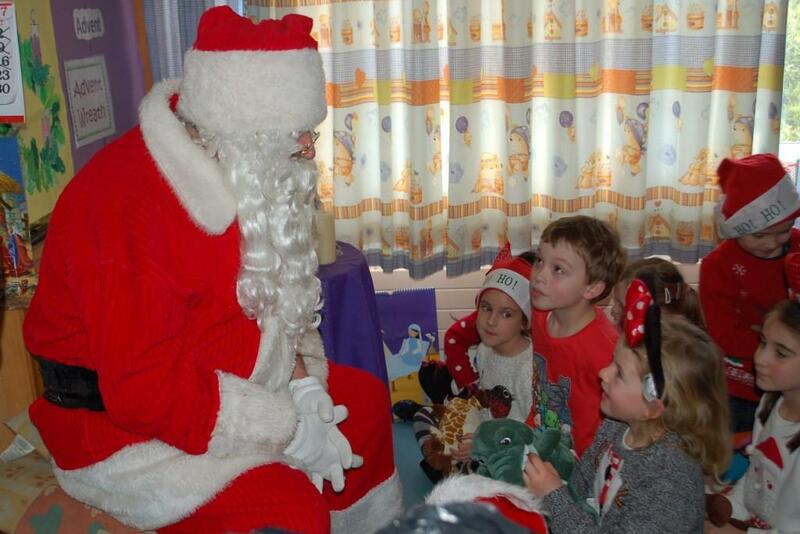 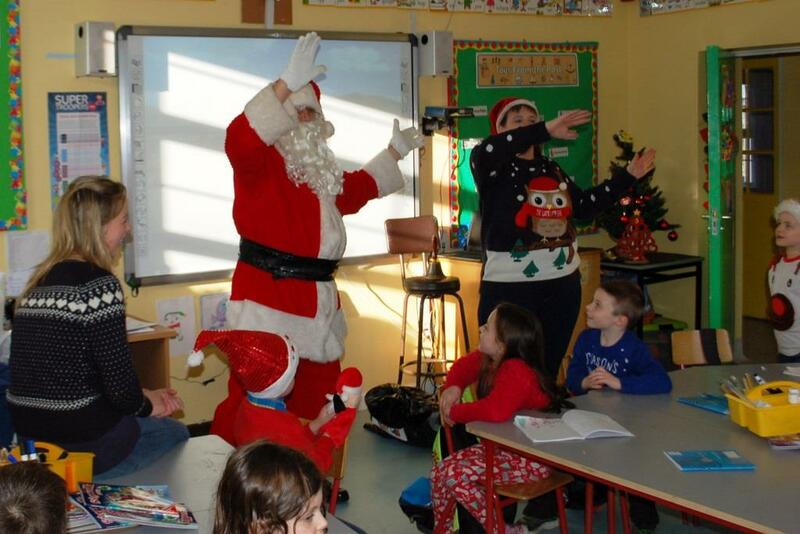 Santa came to see us in Bunscoil today. 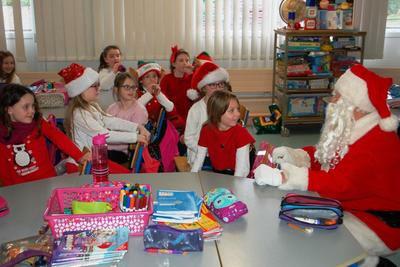 He visited everyone in the Junior School, and then he went to the Halla to see the older classes. 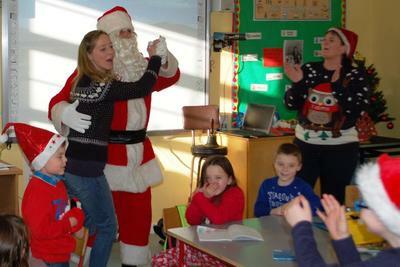 We sang carols for him and he even danced with some of us!